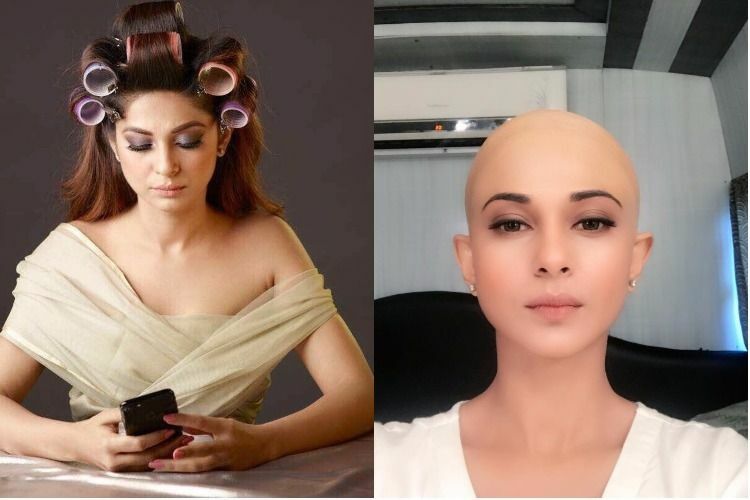 Jennifer Winget AKA Maya of Beyhadh tv series goes for a Bald Look. Jennifer Winget plays the role of Maya Malhotra in the tv series and in the recent episode she will be seen with a headshave look. This was teased right after the episode 197 of the TV Series and a video relating the scene has been released by the makers prior the episode launch. For every Actor, it is difficult to play a challenging role like this. Many have been trying for different and challenging roles like these lately and the character Maya of Beyhadh played it very well. A promo of the episode and some pics are Jennifer Winget being bald has been released on Social Media and on some popular TV Magazines. Is Jennifer Winget Headshave Real? Well, The official answer is No. Maya Malhotra of Beyhadh is not bald well technically she is by wearing a bald cap. After her fans being freaked out with her look. The team has someone pulled this off and made as legit as possible to convey the scene is real and not some makeup. We recently seen some actress actually getting headshave for their role on-screen also like ” Rinku Karmakar “. What do you think about Jennifer Winget’s headshave/bald look in the TV Series Beyhadh. Leave a comment below and do share this on Social Media.